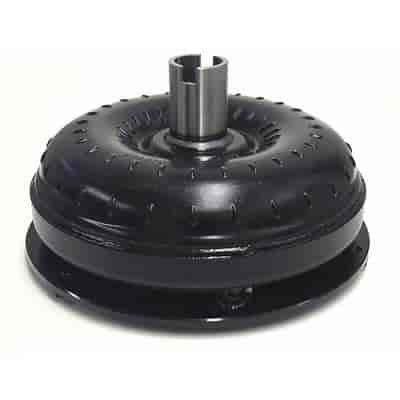 The Streetmaster Torque Converter is a great addition to any weekend cruiser. These converters are commonly used to enhance bottom end torque characteristics without sacrificing cruise efficiency. They generally provide an increase from 800 to 1000 RPM in stall speed when used with stock-type rear end ratios and mildly modified engines. ATI furnace brazes the pump and turbine and installs a new billet stator cap, springs and rollers in the sprag. A new hub, pilot, and mounting ring are installed and CNC-machined for perfect accuracy.